Snow on the ground n 2012. The Turkey Trot is a fun, low-key run/walk race around Donner Lake. After the race nearly everyone wins a raffle prize and gobbles down free cookies and slices of pie. The awards are great too; pumpkin pies! 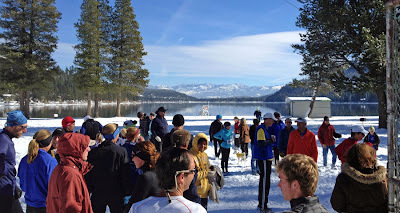 The 7 mile race starts and ends at the West-End Beach at Donner Lake. Walkers can start early at 9:30am. Runners start at 10:30am. The kids “Mash Potato Mile” race begins at 10:00am. Strollers and dogs are welcome. Over the years, the event has experienced snowstorms, ice, rain, and beautiful weather. It was cancelled just once, and that was in 2011 due to the Truckee Police Chief’s concerns about “slippery roads”. Enter online for $15 dollars (plus $1.95 fee) as an adult or $25 dollars race day. Where can you beat that price for a 7 mile run? 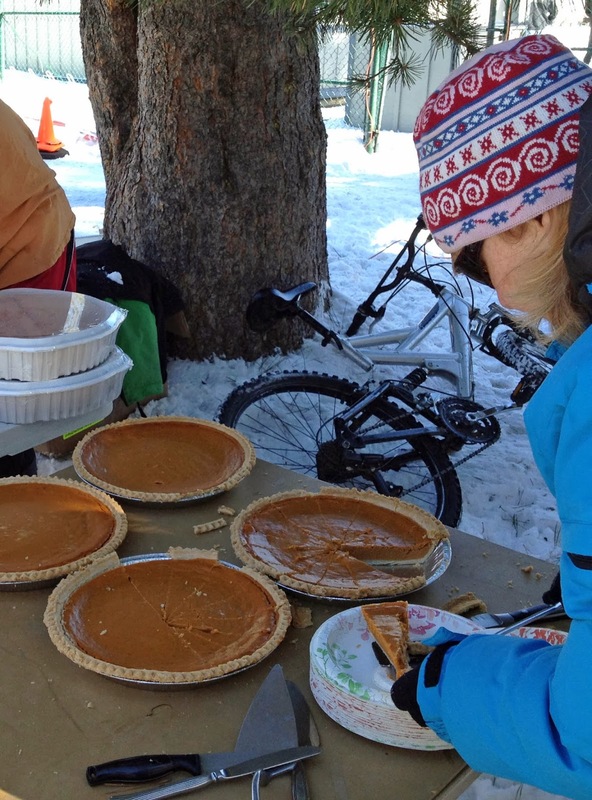 The Turkey Trot is organized by the Auburn Ski Club. This is a fundraising event to support the club’s Junior Nordic programs.